Divergence in central bank policy and strategy is expected to re-emerge as the primary driver for the EUR/USD exchange rate. 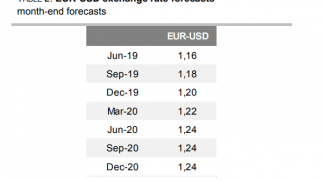 The Euro-to-Dollar pair will probably continue falling over the coming quarters due to a widening difference between interest rates on either side of the Atlantic, according to Richard Falkenhall, an analyst with Skandinaviska Enskilda Banken AB (SEB). 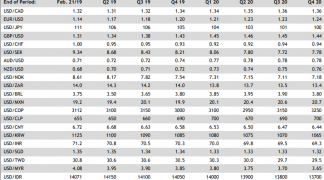 The base interest rate in a country is set by the central bank and the higher it is the more inflows of foreign capital it tends to attract (all other things being equal) which leads to currency appreciation. Moreover, because exchange rates measure the relative value of two currencies, the difference between the two respective interest rates can have significant influence over the exchange rate. Relative interest rates are such a major driver of currency valuations that they are often used to model what a currency should be worth, ie. its 'fair value'. If the fair value is sufficiently divorced from the market value it tends to indicate an imbalance in the market and the possibility of a reversion back to the fair value. And, as far as relative interest rates go, EUR/USD is far above its fair value. Because the market doesn't just encompass current interest rates but also market participants expectations of where interest rates are likely to be in the future, government bonds are often used as a way to compare the different expectations about where rates might be in the future. SEB' Falkenhall notes that the short-term (2-year) bond yield differential between the Eurozone and the US is even more divorced from the exchange rate. Focusing on EUR/USD's meteoric climb from 1.06 to 1.21, this year, Falkenhall notes how the rise was not reflected by a similar rise in the 2-year yield differential, which suggests interest rates were not a primary driver. "Traditional drivers like risk appetite or central bank expectations, normally reflected in relative 2-year yield differentials, have done badly in explaining the move in the currency pair this time," says Falkenhall. The exchange rate, however, was much more correlated with longer-term bond yields such as the 10-year bond yield differential which at least "peaked at the same time" according to Falkenhall. The rise in EUR/USD coincided with an easing in political risk after the French election and, according to Falkenhall, this is rightly reflected in the high degree of correlation between EUR/USD and long-term swap rates, since the political concerns centred around the survival of the Euro rather than interest rates and so were of a more direct concern to swap markets than bonds. The conclusion Falkenhall draws from his analysis is that the more sensitive longer-term, 10-year, Bond yield differential is indicative of a longer-term appreciation of interest rate differentials as a driver for the currency pair. And the longer-term picture suggests a widening differential, with US rates pulling away from Eurozone rates as the Fed embarks more aggressively on its path of raising interest rates compared to the ECB who are still increasing the size of their balance sheet notwithstanding expectations of a taper and are thus much further behind. 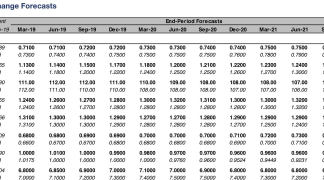 According to Falkenhall the increasing divergence between the two monetary policy strategies will eventually weigh on EUR/USD and pull it lower, to between 1.15 and 1.13 by the end of this year and Q1 of next. "The Fed has now started to shrink its balance sheet, while the ECB seems set to continue expanding its balance sheet with bond purchases for at least 8 more months. This should help widen the rate differential between US and eurozone 10- year interest rates over the coming months, suggesting downward pressure on EUR/USD is set to continue," said Falkenhall. As far as the actual dynamics of the trade go, Falkenhall suggests opening a short position at 1.18 with a stop at 1.21 and a target at 1.13.